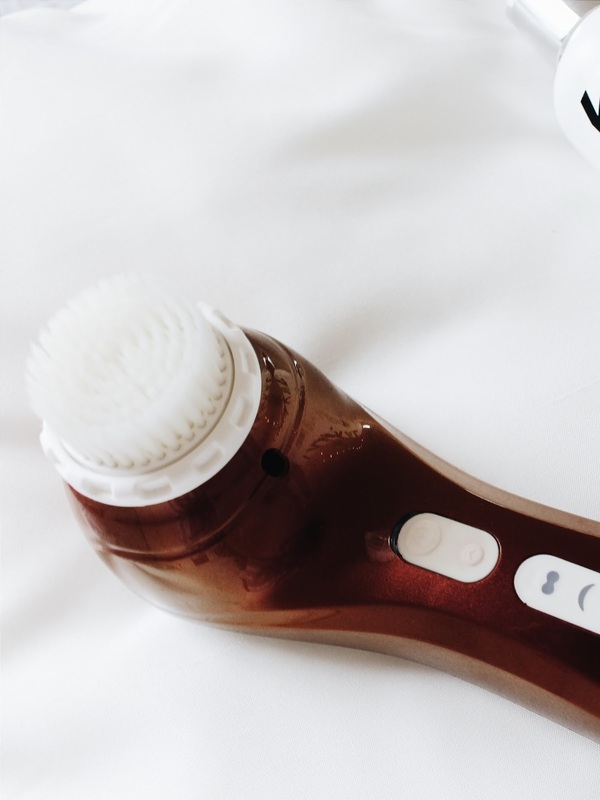 An exfoliating brush is something I had never tried before but had always wanted to. When Magnitone contacted me to be a part of their Summer Skin Campaign in collaboration with For All My Eternity, I just had to say yes. On my arms I have KP which can be bloody nightmare when all you want to do is have nice smooth skin. However, using the brush along with the body wash really has made something of a difference. That area of skin is now feeling a little softer and definitely a bit more well looked after. The brush has multiple settings which you can adjust depending on your preferences. It also has a kind of 'internal timer' that allows you to focus on one area of skin, then it will automatically stop, allowing you to move onto another area. It's fab! The brush is waterproof, so is great for using whilst in the shower and is brilliant when it comes to getting to hard to reach areas. The body wash is full of skin-loving ingredients and smells lovely! FAME products are said to help care for your skin and be super easy to use. I can definitely say I agree with that. The body wash has been great to use and always leaves me with a refreshed feeling. Their products are paraben, SLS and alcohol free too! If you're interested in either of these products head to either www.magnitone.co.uk or www.forallmyeternity.com and use the code HOLLY20 to receive 20% off until the 31st August 2015. Go go go!